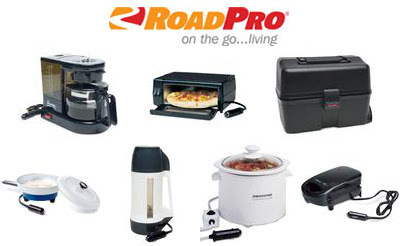 A small (.7 cu foot) microwave with a low wattage (700 w) is perfect for the truck. These usually run under $50. It's small enough to fit and not take up too much space, yet big enough to heat meals in the small glass casserole dishes. The lower the wattage, the longer time it will take to heat food but it's faster than the crock pot! Always follow manufacturer's safety instructions and never put metal in a microwave. 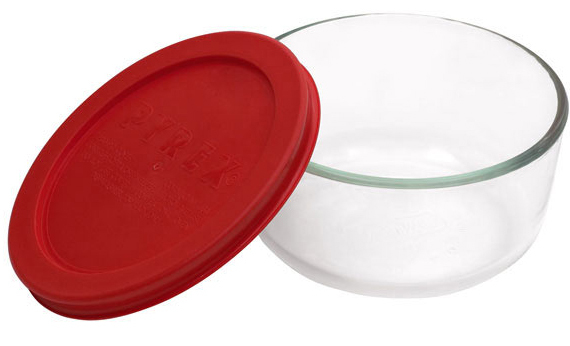 The Pyrex® 4-3/4-cup Rectangle Glass Storage Dish with Plastic Cover. For big stuff! Potatoes, chicken parts, chicken pot pies, etc. Totally stackable!! The Pyrex® 3-Cup Rectangle Glass Storage Dish w/Plastic Cover. I can't tell you how many things we use this for - usually main dish meats, lasagna, casseroles, etc. 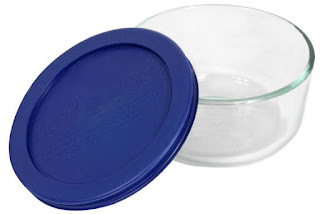 The reusable glass Pyrex® 2-Cup Round Glass Storage Dish w/Plastic Cover. Perfect for soups, stews, sauces, and individual cheesecakes and pies. We love this size for salad dressings, gravies, relishes, etc. * Prices and availability of products subject to change.